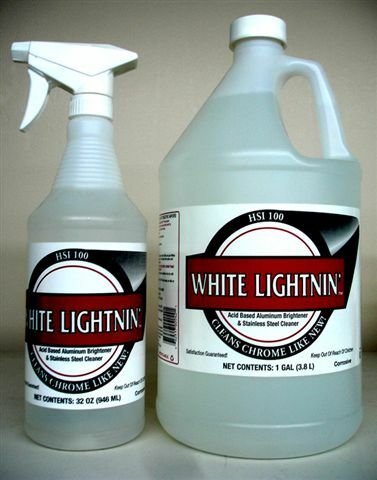 White Lightnin' (acid based) Can not be shipped by UPS - Hunter's Sales, Inc.
White Lightnin' Aluminum Brightener and Stainless Steel Cleaner is an acid based cleaner. Not to be used on polished aluminum. Product can not be shipped please purchase from your local auto parts store.